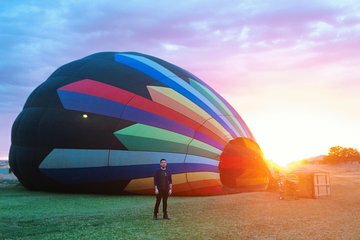 Soar out over the Sonoran Desert in a hot air balloon on this tour that’s just for you. It will just be you, your friends and your pilot gently floating above the desert landscape. See the plants and spot wildlife that flourish in the desert from your vantage point high above. This sunrise tour is the perfect special occasion activity or a way to make memories with friends.